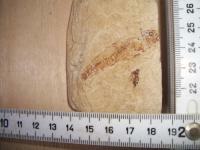 I found this late miocene fish last Sunday in middle Crete island, Greece. After decades of searching fossils in my area this is the first such a find in my collection. Is there any possibility for the id? There is a tiny shape near the fish aswell. I didn't give any meanig on it at first, but as I see it now in magnification, looks to me like a spider. But what's its job aside the fish? . Is there someone to figure out what could it be? Many thanks for any interest. Many thanks. It's for sure! You have a very nice way of finishing your matrix pieces Astron, they always look very natural.What do you use to cut and finish your stone like this? Could be a Spratelloides gracilis, but I am not sure. Do you know this link? 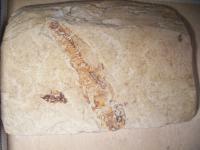 http://www.kreta-umweltforum.de/fossilien.htm It's in German, but nevertheless could be quite helpfull. 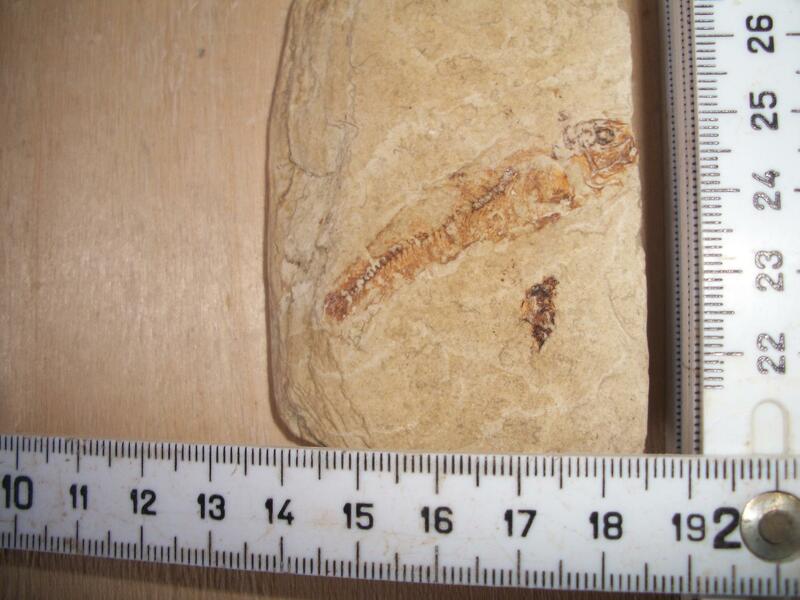 On the right side, you will find links to interesting articles about the Pliocene fish fauna of Crete, the pliocene fish fauna of Prassas, the miocene fish fauna of Makrilia and other fossil locations in Crete. It's up to the rock. If soft, like here, a sharp knife with a thin blade. If hard, the things harden. A small hammer and sandparer, but not with the same results of course. 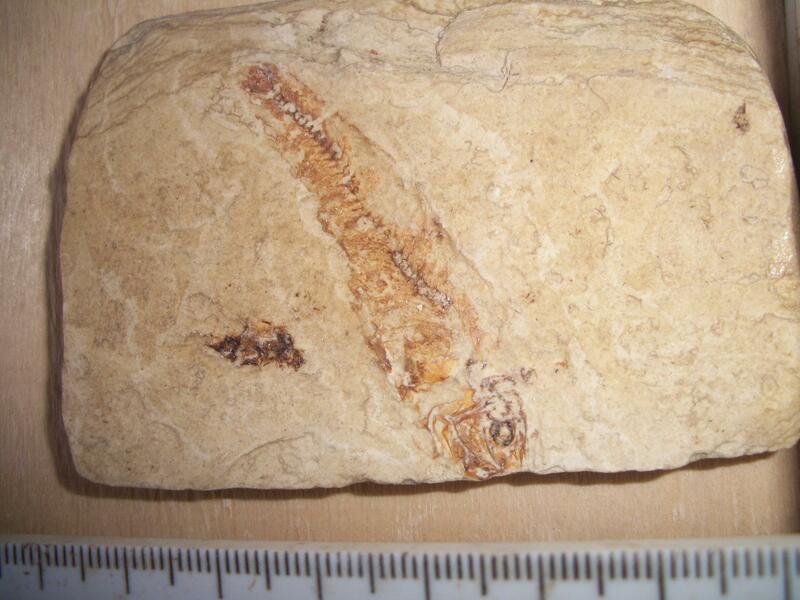 I found this late miocene fish last Sunday in middle Crete island, Greece. 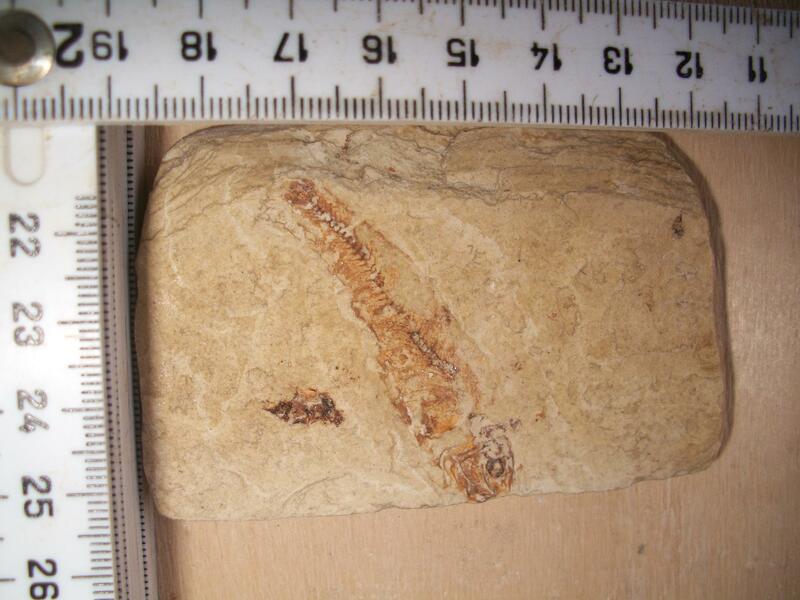 After decades of searching fossils in my area this is the first such a find in my collection. Can you hear the THUNDEROUS APPLAUSE all the way from Oregon? 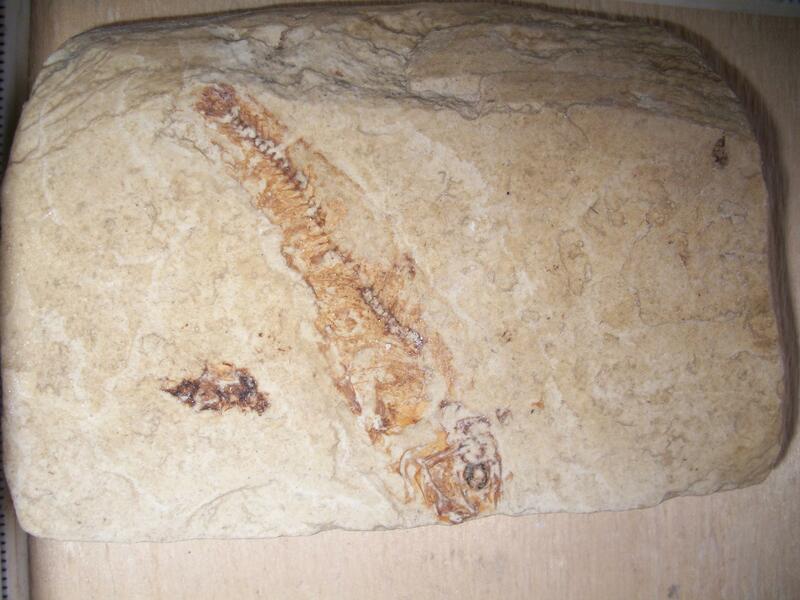 I'm absolutely overjoyed and thrilled about your magnificent fossil fish !! Do you know this link? 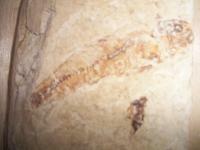 http://www.kreta-umw...e/fossilien.htm It's in German, but nevertheless could be quite helpfull. 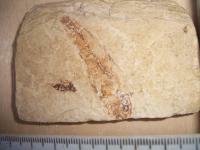 On the right side, you will find links to interesting articles about the Pliocene fish fauna of Crete, the pliocene fish fauna of Prassas, the miocene fish fauna of Makrilia and other fossil locations in Crete. Hello Thomas. Many thanks for your answer and for your valuable help. I don't know German but I can use the translater. So the link provided will be very useful to me. By the chance I have to say that I admired your superb fish collection when presented here. It's really fascinating. Congrats again. Congrats, Great find! I hope my first fish looks at least half that good! Im not sure whats next to it, maybe water bug? Congratulations on a spectacular find. 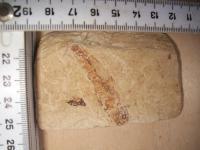 It may just be some disarticulated bones/scales near the fish. 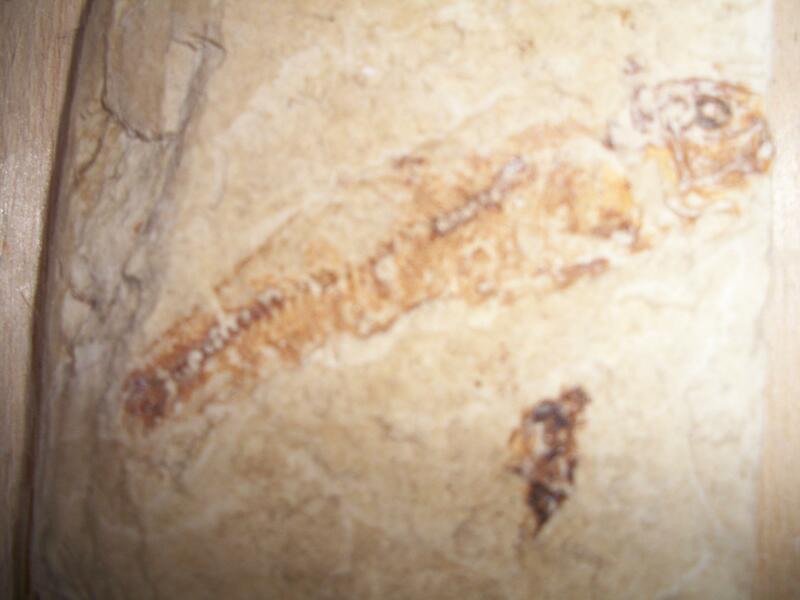 As for identification, this is difficult because of the lack of fins or tail for more complete ID. I think Thomas is probably correct. Congratulations again, and I hope you find more! Nice find. You keep coming up with interesting things. Thanks for sharing. You keep showing us some nice finds. Way ta go. That means "Good Job" in American. As for the "spder" I htink it is a pile of broken up fish bomnes. I see no arthropod legs inthere. The parts look mostly fishy. As for what a spider woul dbe doing next to a fish, it would more thanlilely be just random. They just happened to land next to each other on the bottom of the lake. One note on your photos. I am very impressed with the quality. (The last one is blurry) but I was able to do "Ctrl +" to your pix and magnify them more than any pix I have seen on this forum, which helps a lot for trying to ID a spider, or a pile of fish bones. Way ta go on that as well. It may just be some disarticulated bones near the fish. I think Thomas is prbably correct. Many thanks for your comments, for your help and for your wishes . Me so, great Thomas' estimations are always trustful. Many thanks Mike. Very kind of you. A bit out of my area, but I think oilshale might have something there. Many thanks jpc for your comments and for your valuable help . Very kind of you. Have to admit it is a great find! Many thanks. Very kind of you.